young stems with flowers can be roasted, boiled or stir-fried. leaves can be cooked like spinach. leaves can be rolled into tight balls, dried, and burned to ash as salt substitute. grows in moist open plains, foothill and montane regions. 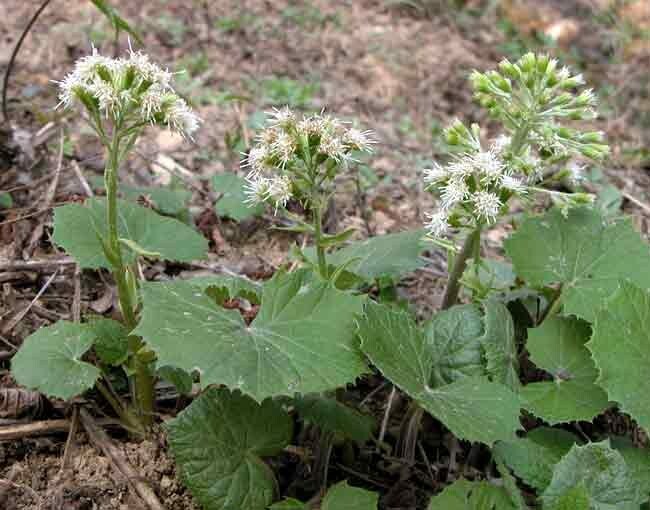 varieties in Ontario are Arrow-leaved coltsfoot (Petasites sagittatus) and Palmate coltsfoot (Petasites frigidus var palmatus). warning: should not be eaten in large quantity, due to alkaloids. warning: may cause miscarriage in pregnant women if eaten in quantity.